TRANSPORT infrastructure, such as the Kuala Lumpur-Singapore (KL-SG) High Speed Rail (HSR), plays a major role in opening access to a region's raw materials and labour. The regional impacts of the HSR in Europe and Japan confirmed the theoretical expectation that accessibility to a transport network brings about regional development. Population and employment increased significantly for some cities on the HSR corridors of Tokyo-Osaka, London-Paris and Madrid-Seville, induced by targeted economic activities along these lines. But there are also cities located on the HSR route that have not been able to benefit from this transport network. In Malaysia, the KL-SG HSR corridor collectively contributed 54 per cent towards its national 2016 GDP, and accounted for 46 per cent of the total employment. For example, Vendome on the Paris-Bourdeaux line did not see significant changes in its population and employment rates. Transport investment alone is not a sufficient driver or catalyst for regional economic development. For the HSR to create positive impact, several major prerequisites such as the level of socio-economic links among cities on the HSR corridor, investments and, most importantly, political and institutional factors, are essential. With such prerequisites in place, we expect more job opportunities to be created along the HSR line - improving income levels as well as the quality of life of the populations in these small cities. At a national level, the HSR is expected to strengthen regional economic integration between Malaysia and Singapore because of the enhanced access to a larger and more diversified pool of talent and wider investment opportunities. The HSR also gives Singaporean and Malaysian companies increased opportunities for collaboration and access to a larger pool of consumers. This high composition of GDP and employment can be attributed to the role that KL and Selangor play as the national economic hubs, and to a regional extent, Johor as well. Major contributors include retail, tourism, manufacturing, finance, business services, and construction. Overall, the HSR corridor contributes to 73 per cent of the construction sector's GDP, driven by various infrastructure projects along the corridor. The corridor is also the base for 64 per cent and 55 per cent of the service and manufacturing sectors' activities, respectively. The highest monthly median household income on the corridor is Kuala Lumpur at RM9,073 (S$3,048), followed by Selangor (RM7,225), Johor (RM5,652), Melaka (RM5,588) and Negri Sembilan (RM4,579). As the terminus city on the Malaysian side, Bandar Malaysia will benefit from KL's strengths as Malaysia's key economic hub. The KL office markets boosted an existing stock of 94 million sq ft in 2017, with another 13 million sq ft slated for completion by 2020. 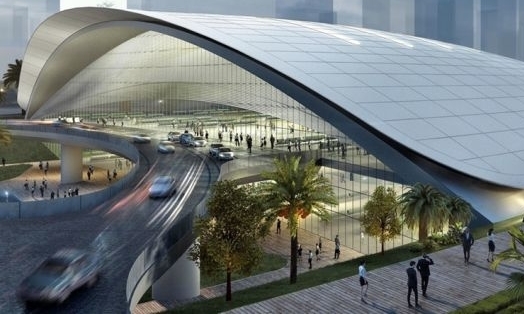 With the direct HSR service to Singapore, the value proposition of KL as the primary CBD will be enhanced. For the smaller cities on the KL-SG HSR line, such as Ayer Keroh, Muar and Batu Pahat, it is important to create a distinctive value proposition for each of them through economic development initiatives to ensure that locals benefit from this infrastructure development. For example, cities on Taiwan's Taipei-Kaohsiung HSR corridor have been developed based on their unique value proposition as hubs for logistics (Taoyuan), medical technology manufacturing (Hsinchu), retail (Taichung), tourism (Chiayi) and bioresearch (Tainan). A similar approach could be adopted for the KL-SG HSR corridor. For instance, the transit-oriented development around Iskandar Puteri HSR Station would benefit from several catalyst projects that are currently under development, such as Educity, Nusajaya Tech Park and Fast Track. Separately, the Singapore terminus station located in Jurong East is part of the Jurong Lake District. The project, which is set to be completed after 2040, aims to transform the area into Singapore's second CBD, with more than 100,000 new job opportunities in the maritime, infrastructure development and technology sectors. With a well-integrated urban and economic inter- and intra-linkages, this massive transport infrastructure development will create positive multiplier effects to the local economies.